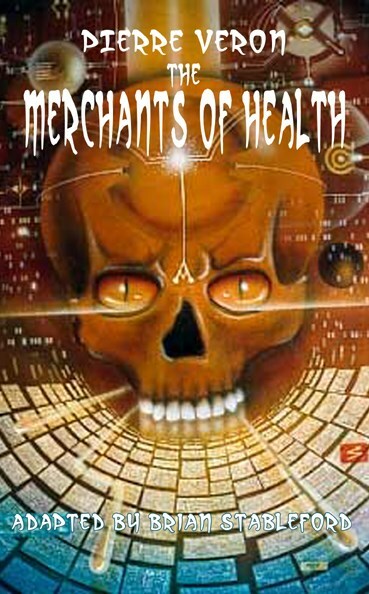 On Earth we call the relevant institution the Faculty of Medicine, but on Planet Fantasia, as the physicians have adopted the name of merchants of health, it was both logical and honest to follow the metaphor through-hence the title "The School of Medical Commerce." Pierre Véron (1833-1900) was a frequent contributor to two of the most popular Parisian humorous papers, Le Charivari (which served as the model for the English magazine Punch) and the Journal Amusant, until becoming editor-in-chief of both in 1874, retaining that position until a few months before his death. Although The Merchants of Health (1862) is set on the Planet Fantasia, it really is an ironic reflections on the French medical system of its era. Despite the fact that modern medicine is far more competent and better organized, it is disturbing to see how many of his observations regarding the psychology of patients and some of the tendencies of the "merchants of health" still ring a bell today. Mister Nobody (1864) lavishly explores an immense future Paris of the 20th century and offers an ironic look at the future of Parisian life. Six more stories complete this panorama of Véron's fiction, contemporary with Jules Verne the birth of the roman scientifique. Véron is a significant precursor of Albert Robida's more elaborate series of humorous accounts of 20th century life.